Portable crusher makes garbage become inexhaustible city treasure, how to make the construction waste into treasure? Yifan crusher help achieve this ideal. Now the eco-friendly and low carbon have become the main theme of the world development. the problem of building waste resource utilization has received higher attention from all sectors of the society. 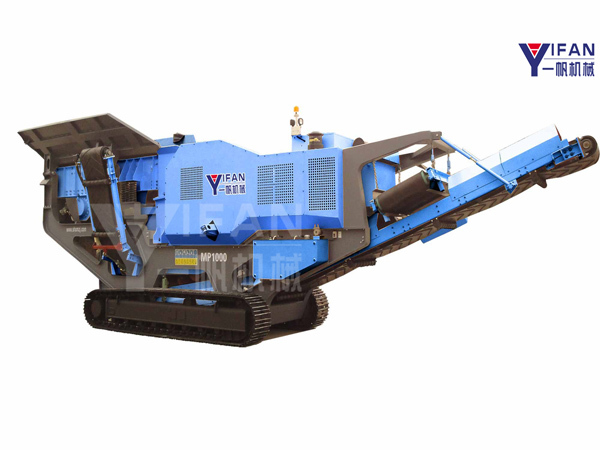 Portable crusher is the product of responsing to national policy.In order to strengthen the urban construction waste management for a further step, and make the construction waste become the inexhaustible resources, the government should organize the related sectors to propagate revelent laws and regulations and standardize the disposal behavior of construction waste. Portable crusher help solve the waste problem. Waste is common in the living environment, and has a certain impact on people's lives. The traditional sludge treatment generally have two ways: landfill and burn after fragmentation. However, these two ways are not the best ways. Portable crusher help solve this historic problem.